Mary Rose O'Reilly: The Love of Impermanent Things, The Barn at the End of the World, Radical Presence, Half Wild. Abigal Thomas: Safekeeping, Three Dog Life. Hi Patricia! I finally figured out how to search for members. :) I am so glad to see you here! Hi Patricia! Lovely to see you here! 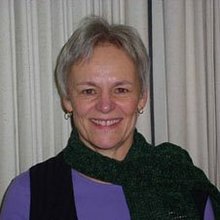 Welcome to Fictionaut, Patricia! Dive right in! Hi Patricia-Welcome. I look forward to reading some of your writing here. You must log in to write on Patricia Harrelson's wall.